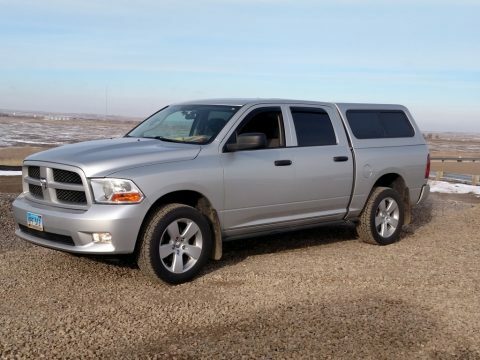 2012 Dodge Ram 1500 ST For Sale in Tioga, North Dakota 58852 This 2012 Dodge Ram 1500 ST is in excellent condition and has been meticulously maintained. This Dodge Ram has never been smoked in and has always been garage kept. This Ram has a beautiful Silver exterior that compliments the gray interior. This 4WD Dodge Ram has a 5.7L Hemi V8 engine paired with automatic transmission and an impressive 350 horsepower. There is only 51,000 all highway miles on this pickup. This 2012 Dodge Ram 1500 ST has many features including: Heated Seats Navigation 4 Full Doors Short Box with Leer Cap Keyless Entry Keyless Start Alarm System And Much More! Don’t let this opportunity pass! You will not find another Ram in this condition for this price. This stunning 2012 Dodge Ram 1500 is priced to sell! Call (844) 814-9388 for more information.